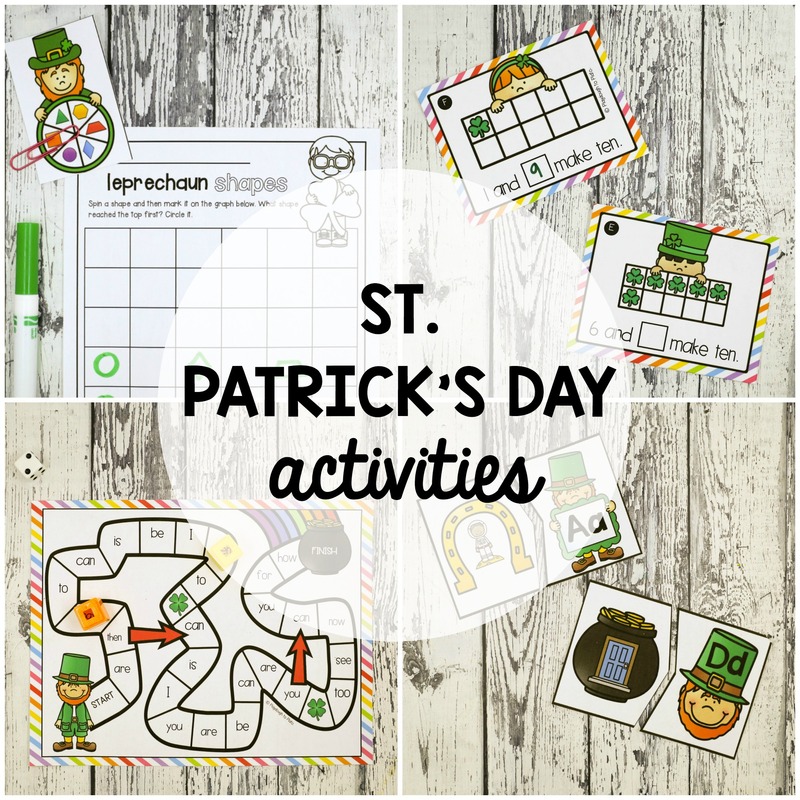 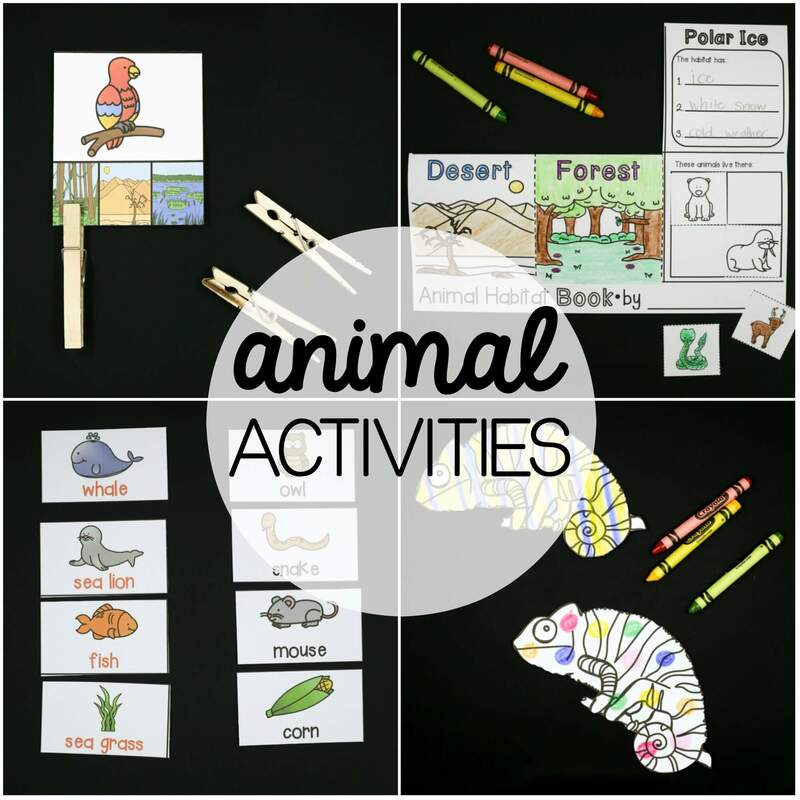 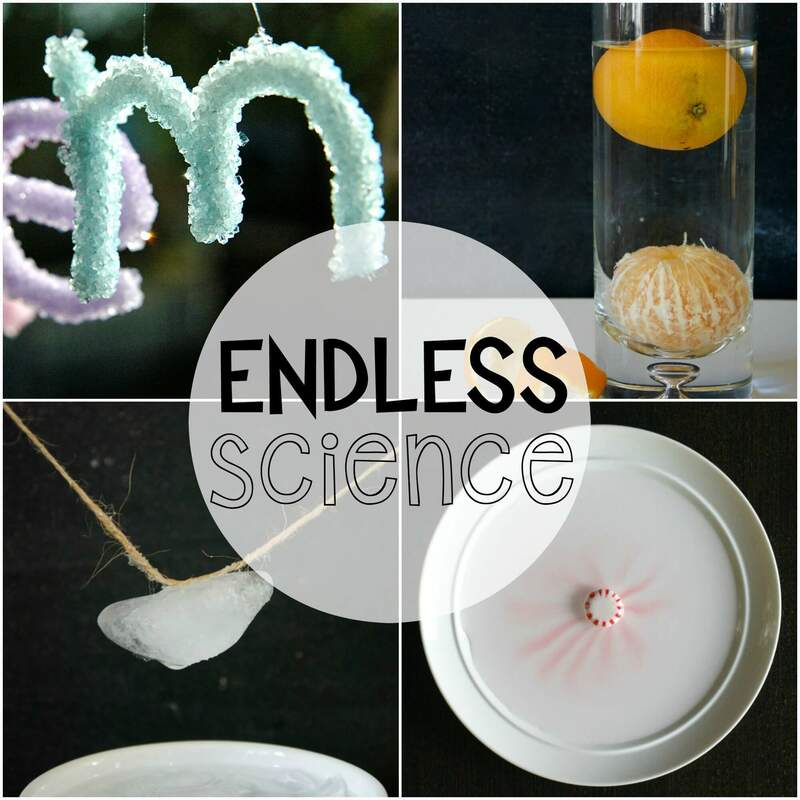 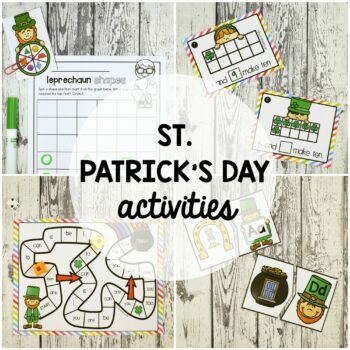 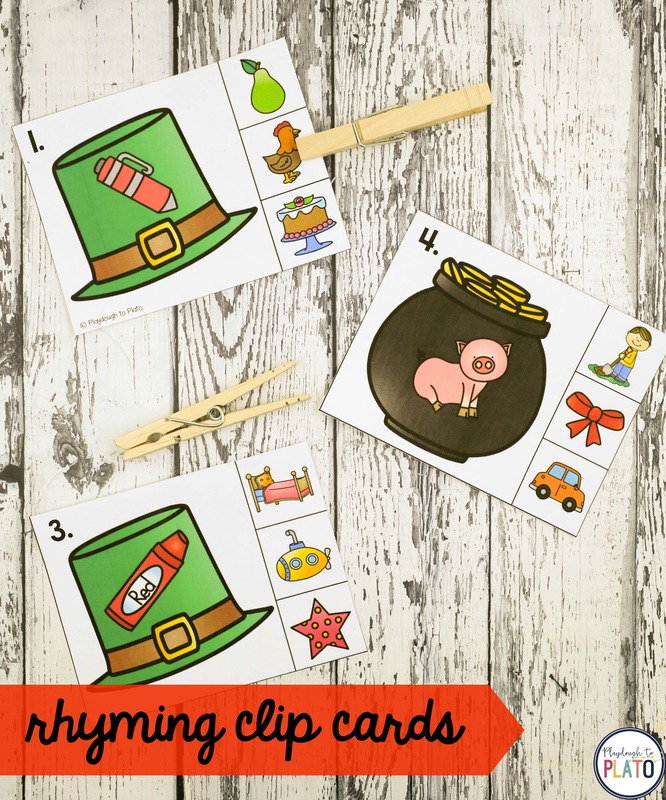 Looking for St. Patrick's Day activities your students will beg to play over and over again?! 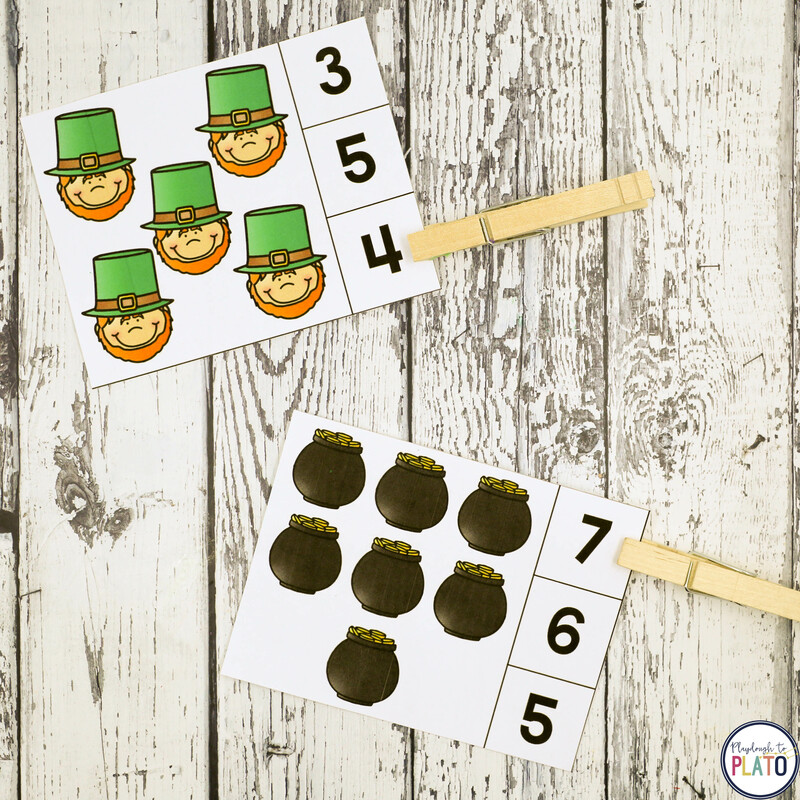 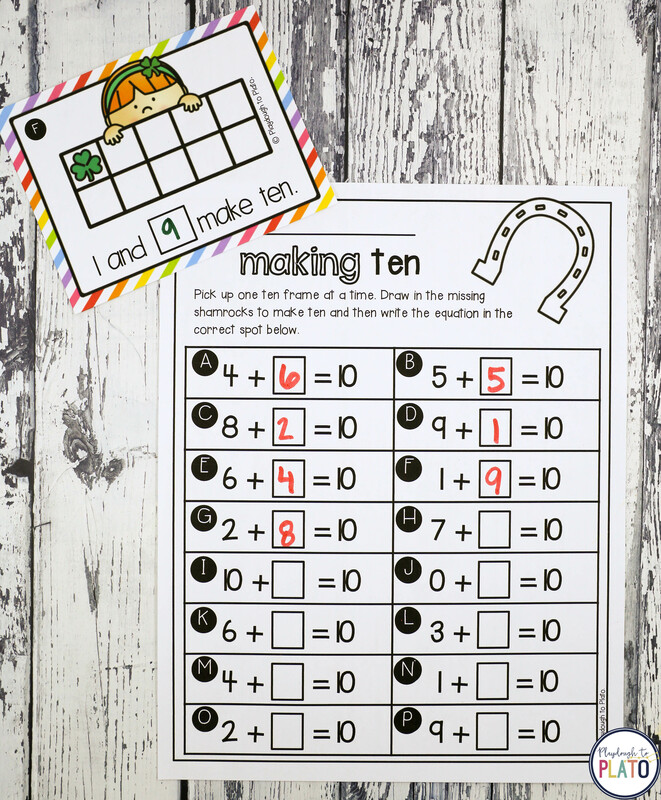 This print and play pack includes 13 motivating ways to teach alphabet letters, word families, sight words, number concept, graphing, making ten and so much more. 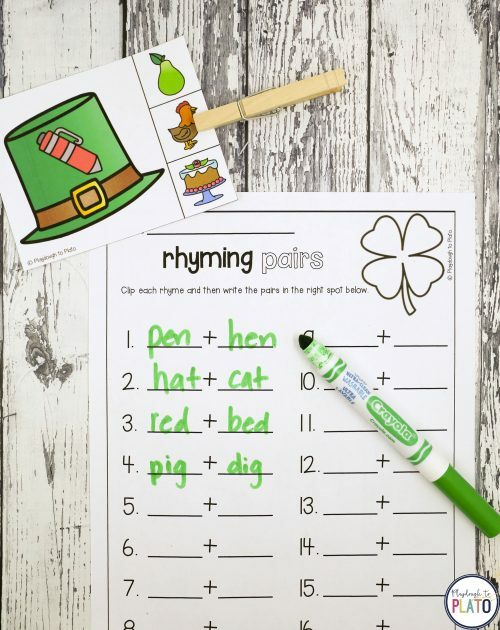 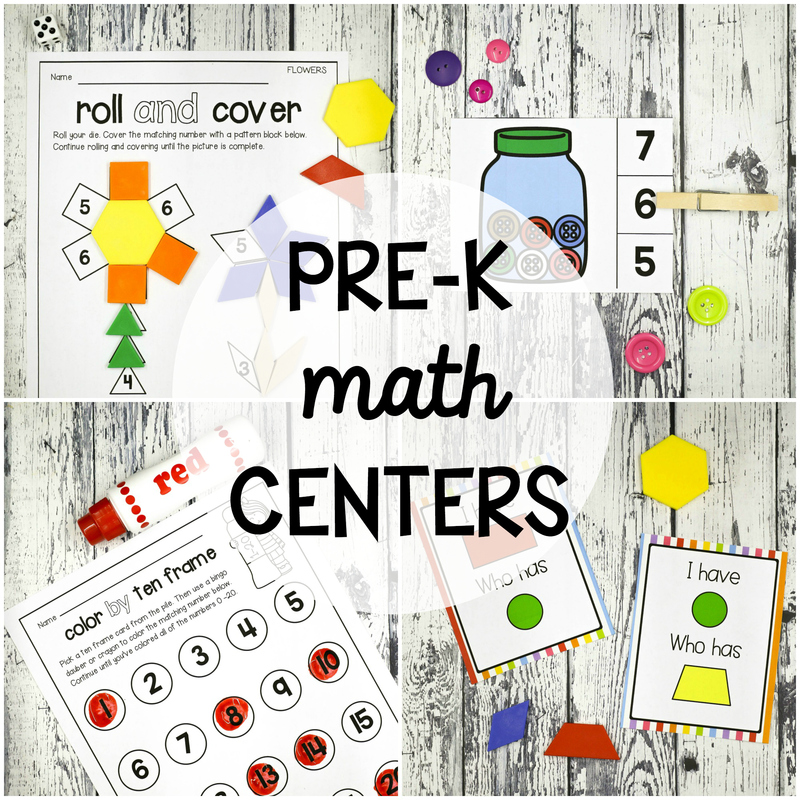 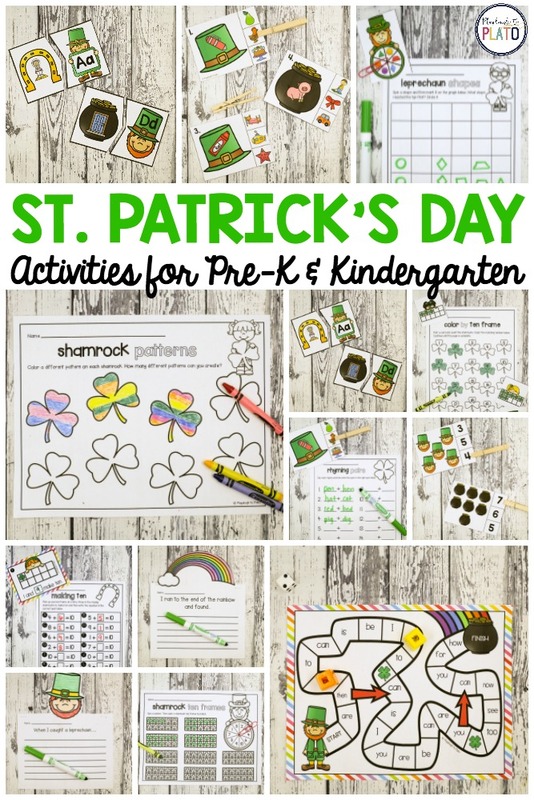 The St. Patrick's Day activities are easy to differentiate, making them perfect for pre-K and kindergarten! –> Alphabet Puzzles. 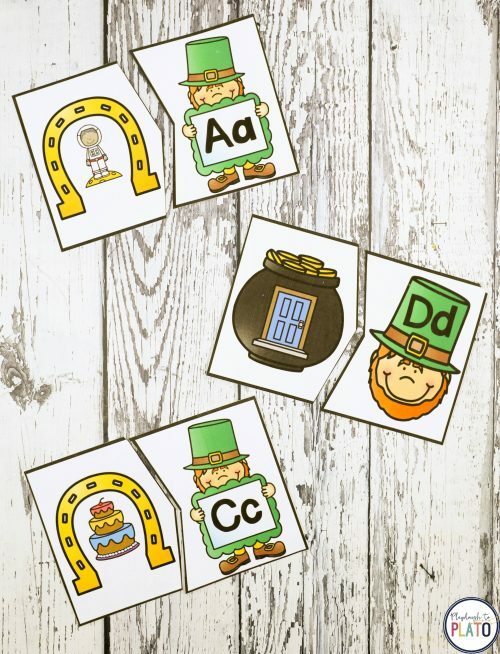 A playful way to work on letter sounds. 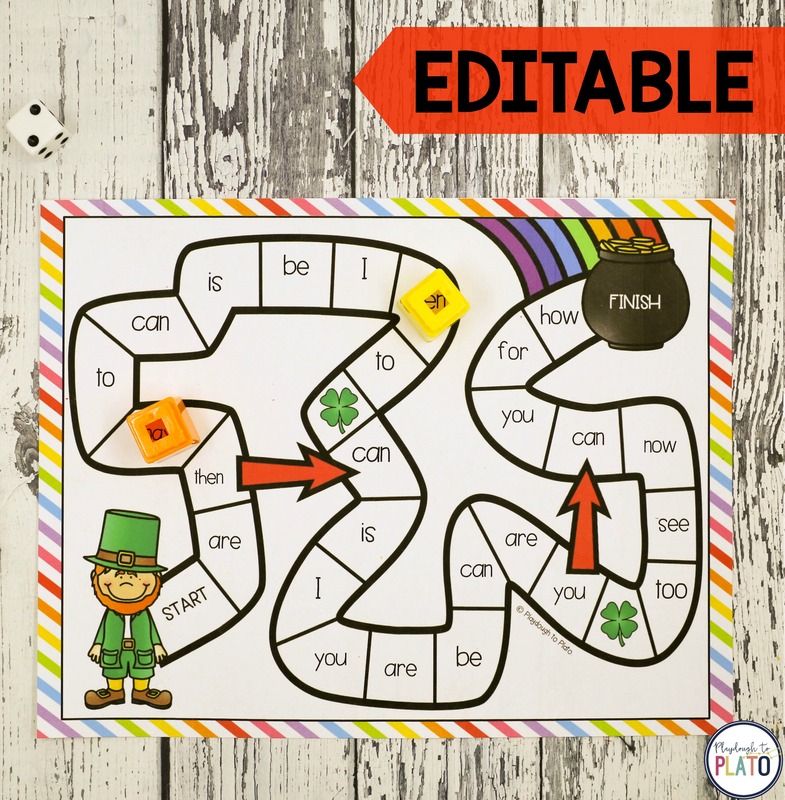 –> EDITABLE Gold Rush Sight Word Game. 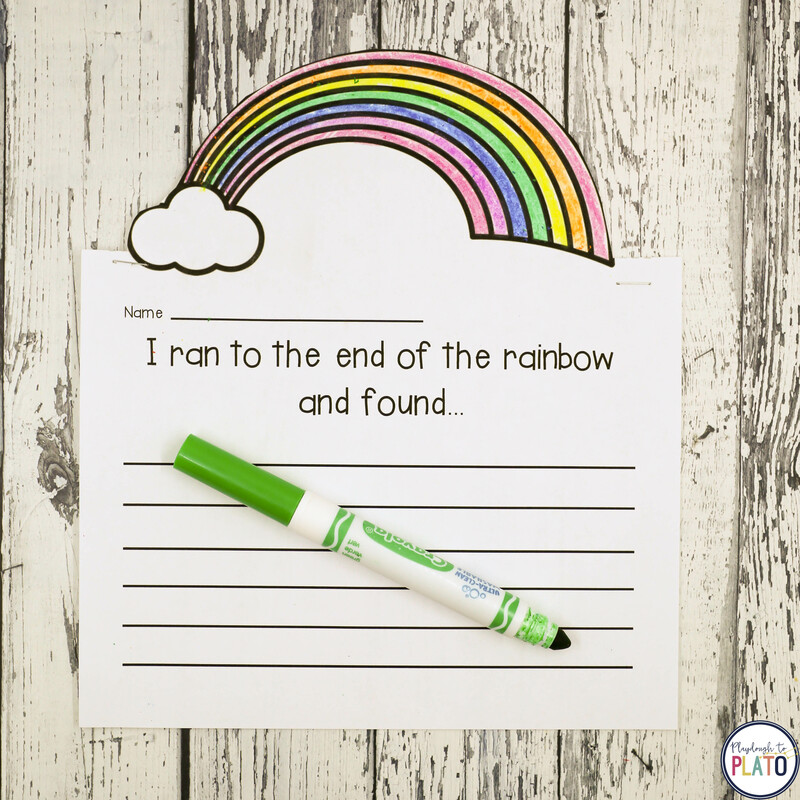 Race to the gold as you read and write sight words along the way. 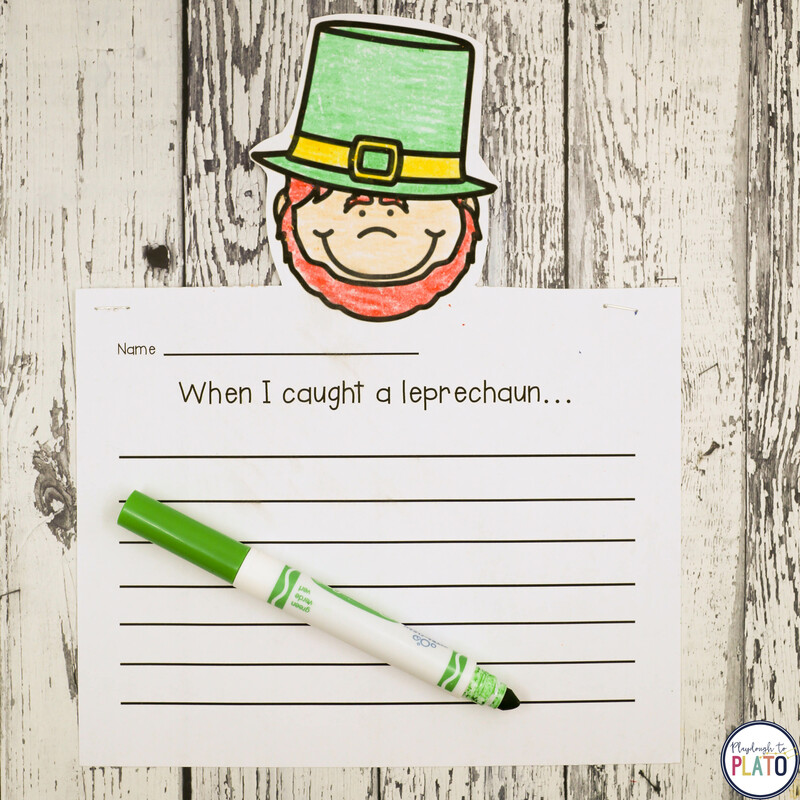 –> EDITABLE Leprechaun Words. 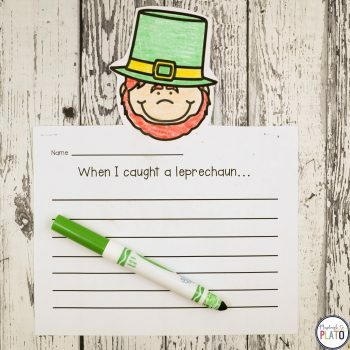 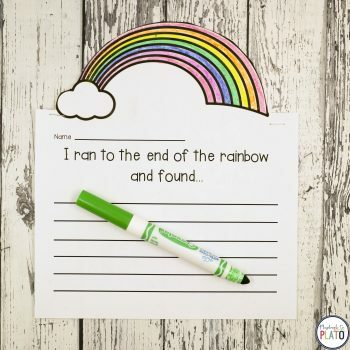 Write your word list in a St. Patrick’s Day tray! 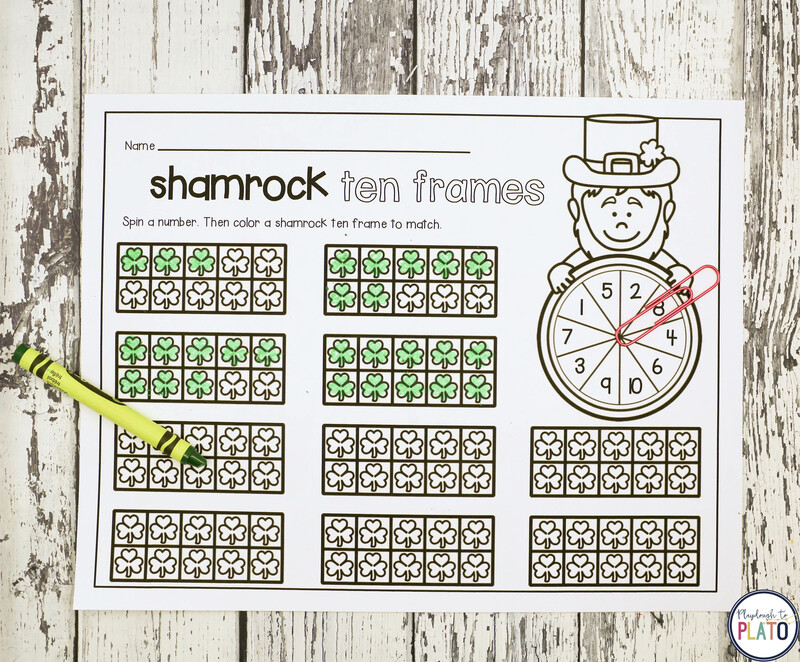 –> Shamrock Ten Frames. 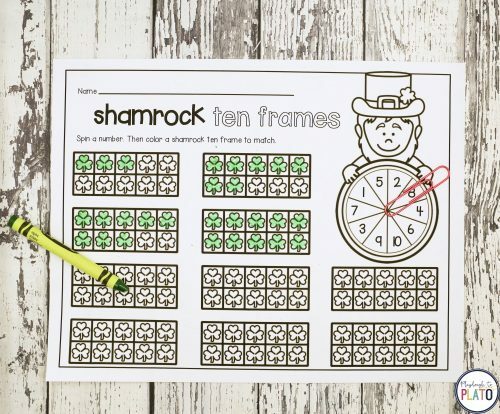 Spin a number and color the shamrock ten frame to match. 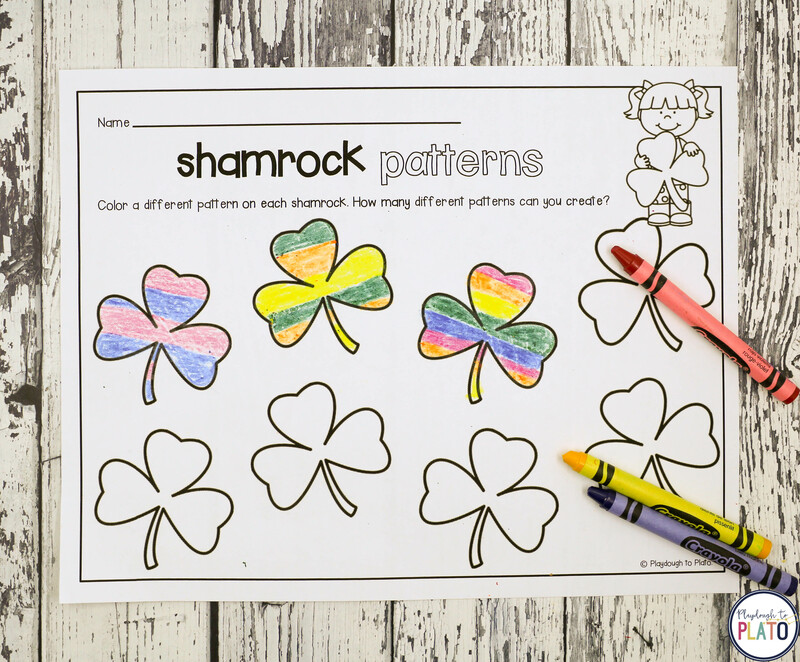 –> Cut and Paste Patterns. 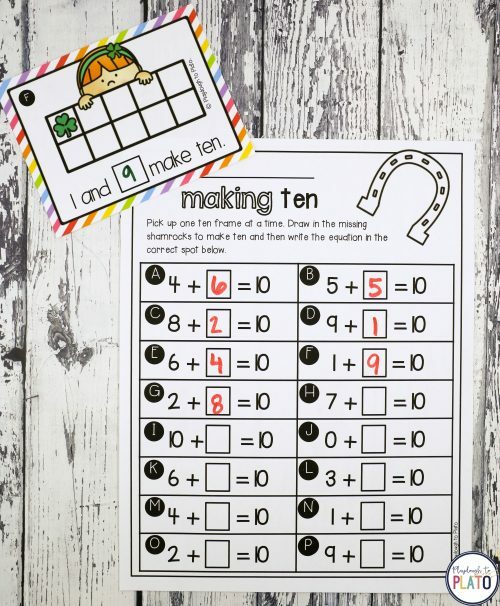 Solve AB, AAB and ABC patterns. 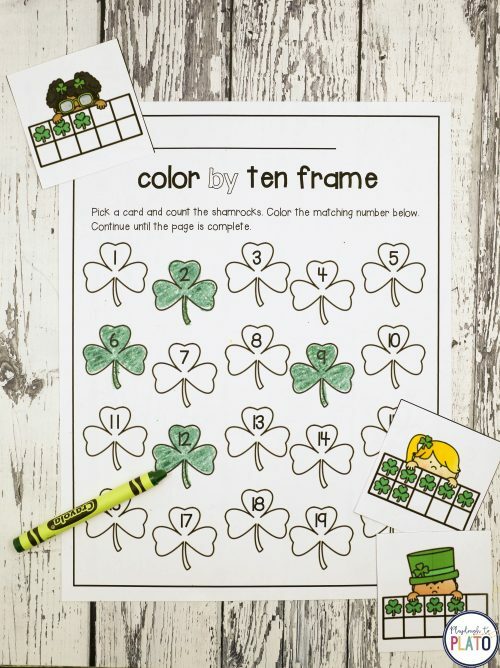 –> Leprechaun Shapes. 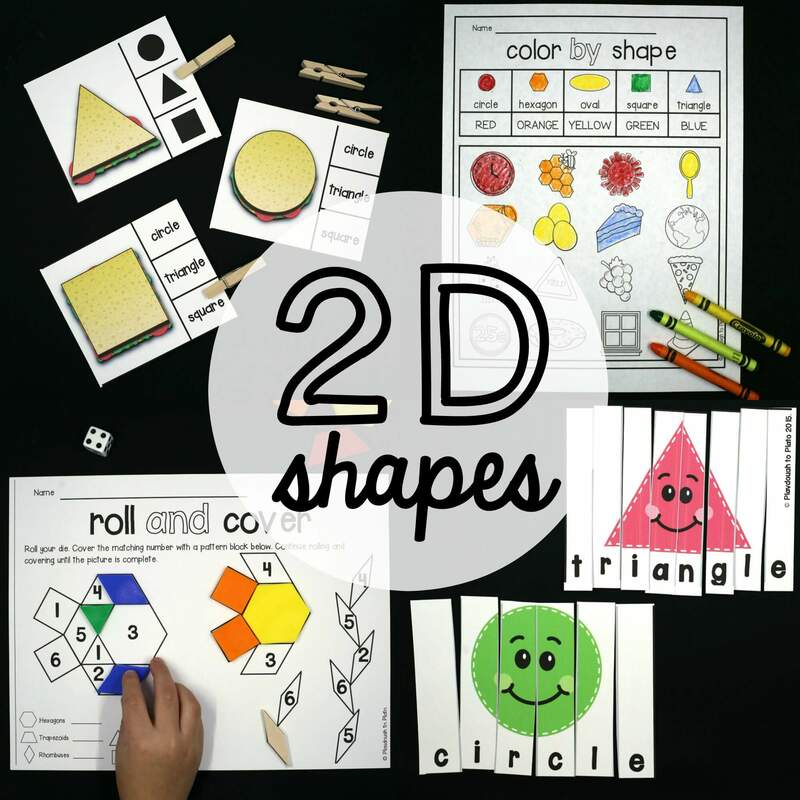 Spin a shape, name it and graph it. 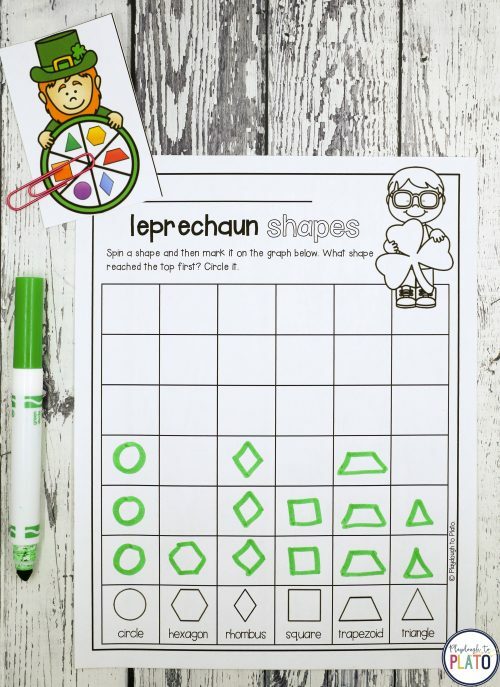 What shape reaches the top first? –> Counting Clip Cards. Count the St. Patrick’s Day objects and clip the matching number from 1-12.